RePack by D!akov — Russian/English registered version. 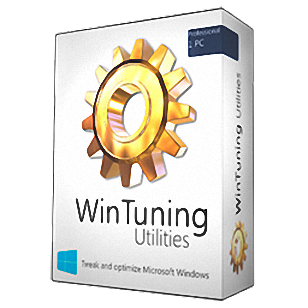 WinTuning is an all-in-one software with the utilities designed to optimize, boost, maintain and recovery Microsoft Windows 10, 8.1, 8, 7, Vista operating systems, improve your privacy, fast check for the updates of installed programs, get fast and easy access to more than 80 open and hidden tools of Windows, remove junk files, obtain software and hardware information about your system, diagnose and troubleshoot operating systems and more. 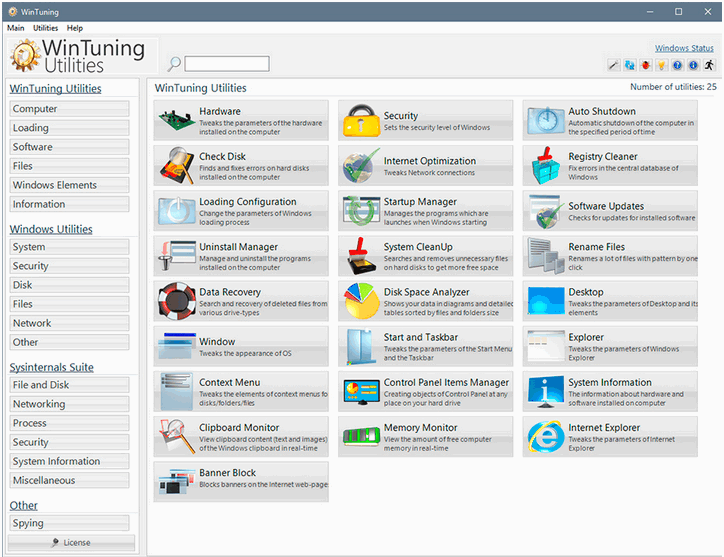 The program allows you to optimize the loading / shutdown processes, hardware parameters, boost up the Internet connection, change the hidden settings of Windows elements: Desktop, Context menus, Explorer, Taskbar, Start Menu and windows. 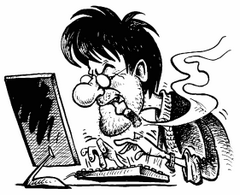 The program offers tools for fast renaming files by mask, disk errors scanning and fixing, and automatic shutdown utility after a specified period of time. It also removes unnecessary junk files. The software includes clipboard and memory monitoring, allows you to get access to the information about your operating system, and to numerous built-in utilities of Windows 10, 8.1, 8, 7, Vista. All operations performed can be undone at any time.